Dragon1 is the best cloud based solution to use as ArchiMate Tool. With Dragon 1 your ArchiMate viewpoints are used anytime, anyplace and anywhere to guide projects. And as an architect that is what you want. Dragon 1 is a SaaS platform for enterprise architecture with a suite of web applications. 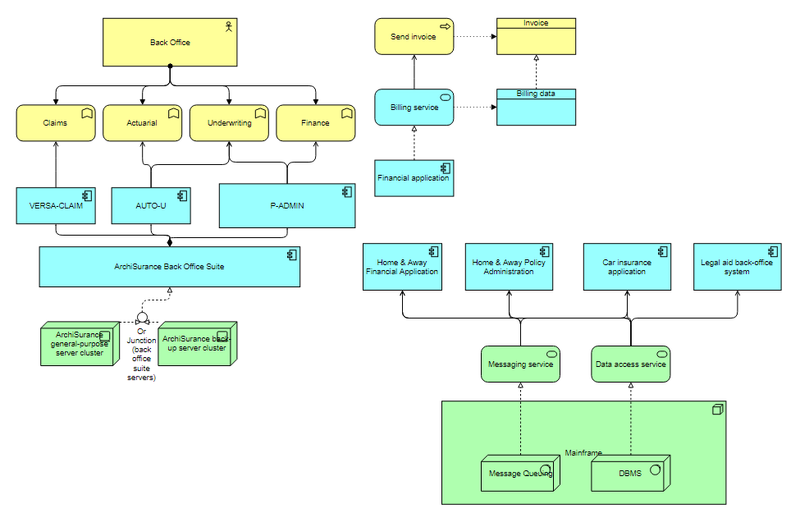 These applications together can be used as UML modeling tool, generic EA Tool, but also as specialized ArchiMate Tool. On Dragon 1 you can model in v2.1 and in v3.0 of the modeling language with rules enforced during modeling or checked afterwards. 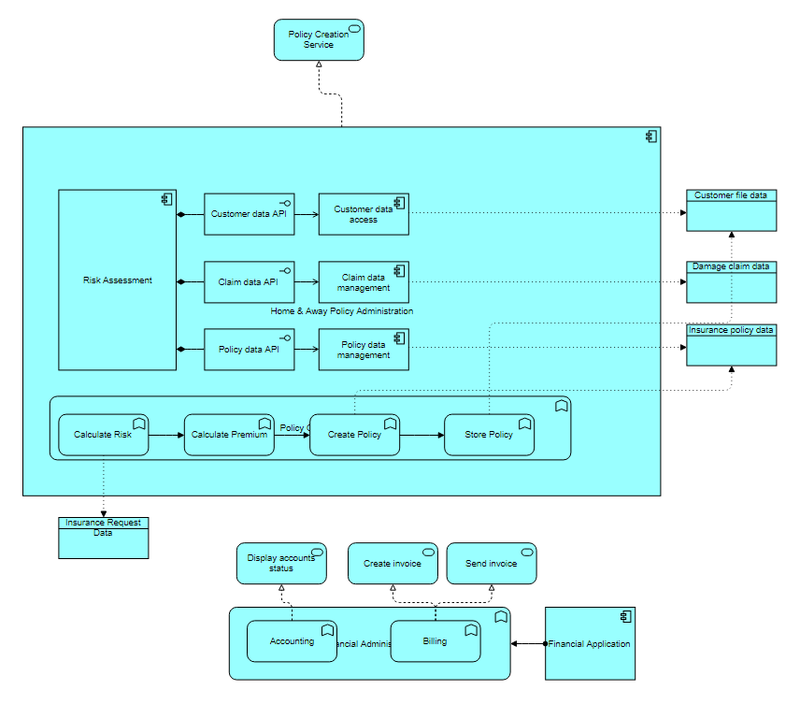 Use Dragon 1 as your EA Tool for modeling beautiful static and interactive Architecture Diagrams and Viewpoints. If you need any help please contact us via info@dragon1.com or call +31 (0)317 411 341 in The Netherlands. 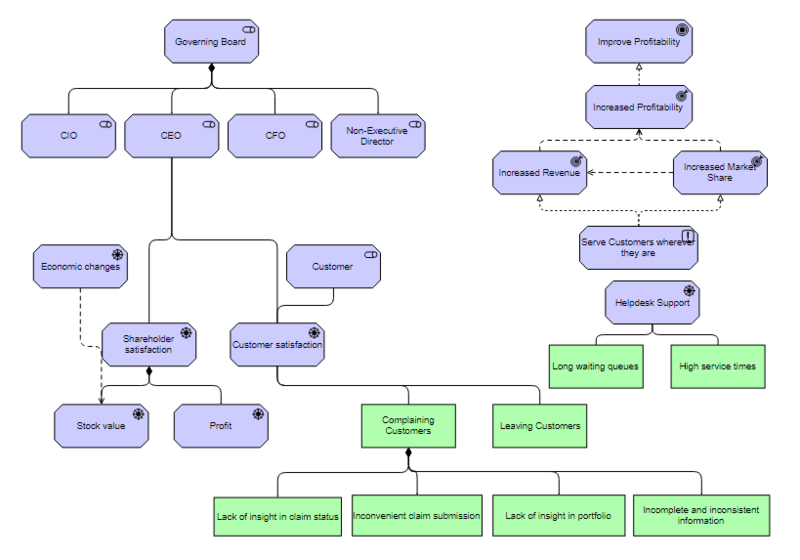 Example of a Gap Analysis of a business architecture. You see it! On Dragon 1 we take the next step. Not only you can model your diagrams. You can also publish them and have stakeholders provide feedback to you via comments they add on the diagram. You can even attach a workflow to your diagrams or communicate the latest updates and changes to your model, view, viewpoint or diagram. New technologies are already waiting on your doorstep. Sooner or later, every organization will be incorporating Robots and Drones in their products, services and processes. With Dragon 1 you are ready for the future. Use Robots, Drones and Technology as modeling concepts in your architecture diagrams and viewpoints. Dragon 1 is a saas EA Tool. Purchase your Dragon 1 subscription here and later today you will have created your first static or dynamic architecture diagrams. Your starting point is the Getting Started on the Dragon 1 Help. Do you have single xml file or a repository with many archimate files? You can view them now on Dragon1 with the content viewer. Why use Dragon 1 as your ArchiMate Tool? ArchiMate Tool is the usage of Dragon 1, online modeling & software tool, to create standard Viewpoints and Diagrams. Dragon 1 is online software used by Enterprise Architects all over the world. It offers you the ability to create static and interactive models and import/export with other architecture modeling tools via XMI/XML. 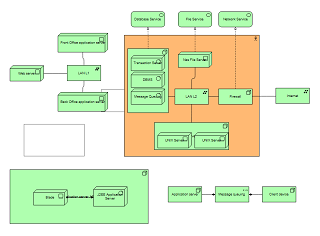 Maybe the best feature of Dragon 1 as EA Solution is that you can actually manage with your architecture models. You can create interactive click-through diagrams with color and figure indicators and popups, showing all kinds of background information. With this, you can turn your EA diagrams into Tablet PC report views. Here you see an interactive ArchiMate example shown in the Dragon 1 embedded player that can be used by you on any website. This diagram was created on Dragon 1: we designed a correct standard Viewpoint and we have added attributes at the entities and gave them a mouse-over popup and we have added mouse-over audio for some of the other elements. Also, you can view the diagram full screen. Just use the controls on the player bar. 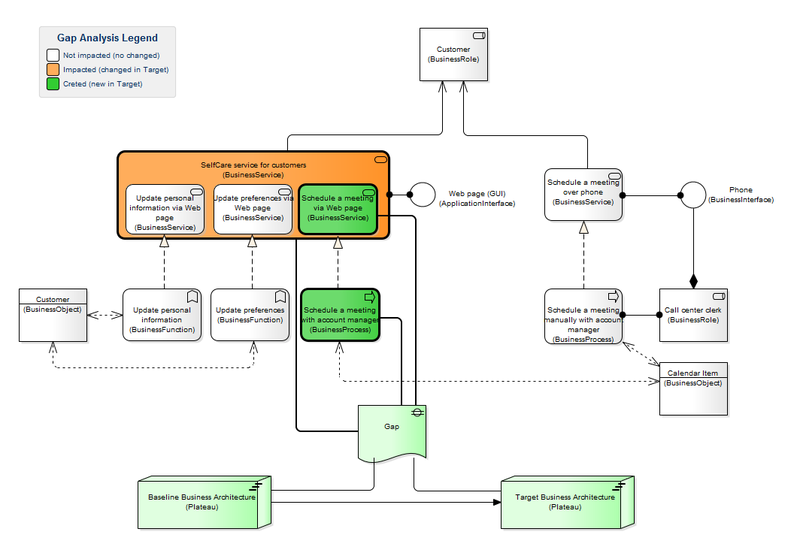 ArchiMate is an open and independent modeling language for Enterprise Architecture, managed by The Open Group. It supports the design, analysis, modeling and visualization of architecture in and across domains in the organization: from business to applications to technology and vice versa. 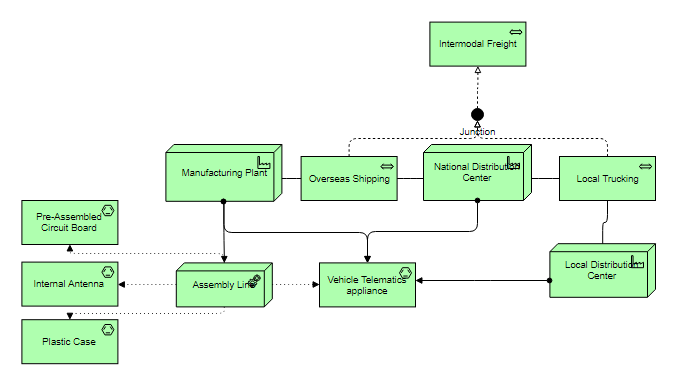 On Dragon 1 we have the unique option that you can work with pure Archi Mate but also combine it with other languages and meta models like TOGAF, BPMN and UML. You can decide what powerful parts of languages you combine into new modeling languages. Dragon 1 supports you in a smart way of using version 2.1 and 3.0 of the modeling language, the latest version, to create the best Viewpoints and Views possible for your architecture. And you can work as an individual and as a team to create models, views, viewpoints and diagrams. On Dragon 1 we provide the unique option of doing strict modeling and loose modeling. Strict modeling means that the software prevents you from trespassing language modeling rules. Loose modeling means that the software allows you to model anything you want in the way you want it. Afterward, you still can check compliance with the modeling language. 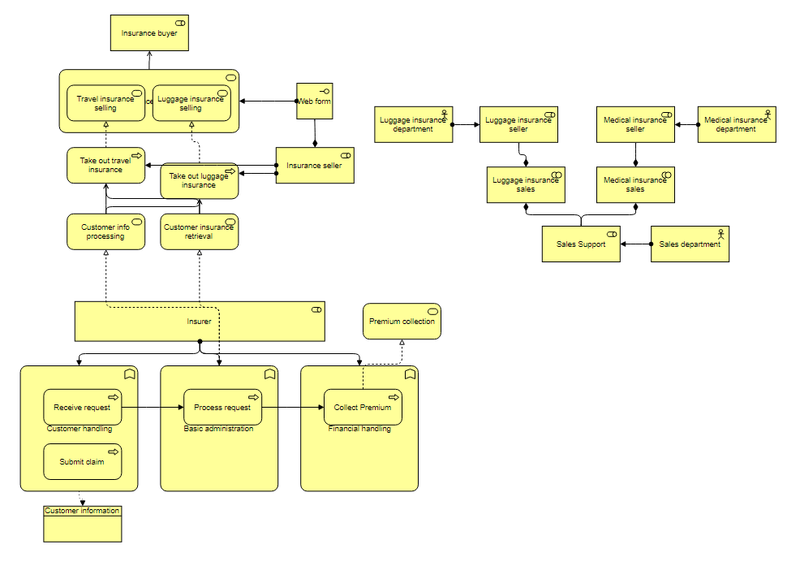 An important part of the Archimate language are Viewpoints and Views. Viewpoints are defined as a point where you are looking from (a certain job or role) towards something. Views are defined as what you see when looking from a viewpoint. Examples of defined viewpoints in ArchiMate are: introductory viewpoint, organization viewpoint, business viewpoint, process viewpoint, application viewpoint and infrastructure viewpoint. Dragon 1 lets you work in a smart way and unique with ArchiMate. You create models existing of related data entities. Next, you define viewpoint rules. Then you apply those viewpoints with its rules to models, which results in views. In this way, if you change data that is part of a model, the views are automatically changed. On Dragon 1 you don't draw your viewpoints and views, but you define viewpoints and generate views. Suppose you are really stuck as a user. You have this writers' block as Architect. 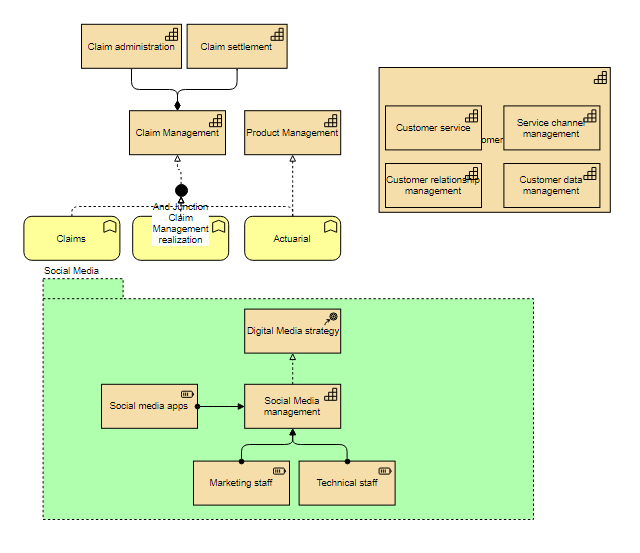 Just check out the ArchiMate modeling channel here on Dragon 1. Fellow users of the software have created models, viewpoints and views and published them publicly in the channel. And maybe in time, you will also contribute to the Dragon 1 community. 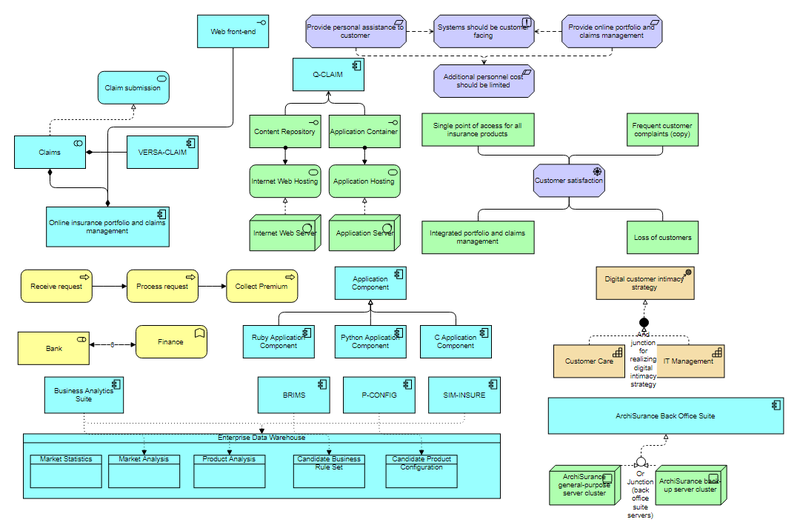 At any time on Dragon 1, if you want, you are provided with help on modeling in ArchiMate. The definitions for the modeling concepts, examples of models, allowed and disallowed relationship, example views and viewpoint. Everything that is part of the language is right there under a button. Just press the help button and you will automatically get the ArchiMate help page that is related to the concept, viewpoint or view you are busy with. 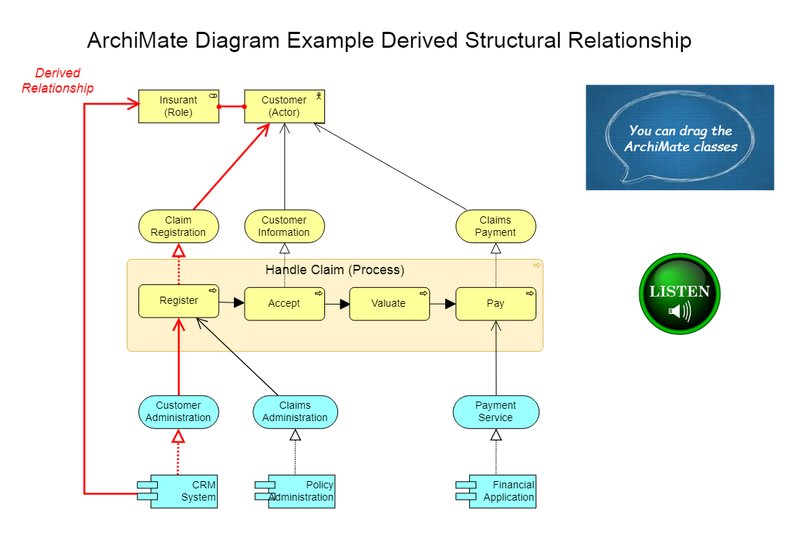 And also the matrix of relationships and the ArchiMate meta model plus its extension are one click away. The Architecture Repository is your Dragon 1 application to enter and import data and entities and create relationships between your data entities. The Architecture Repository helps you to keep your data managed, clean and available for modeling. Because ArchiMate is about viewpoints and view you need extra or rich data in attributes to create (or better generate) meaningful viewpoints and view. 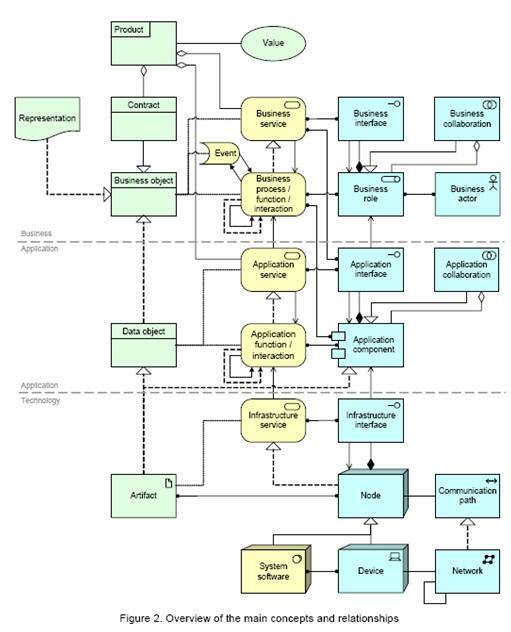 Diagrams with only names of applications and processes are not that interesting. 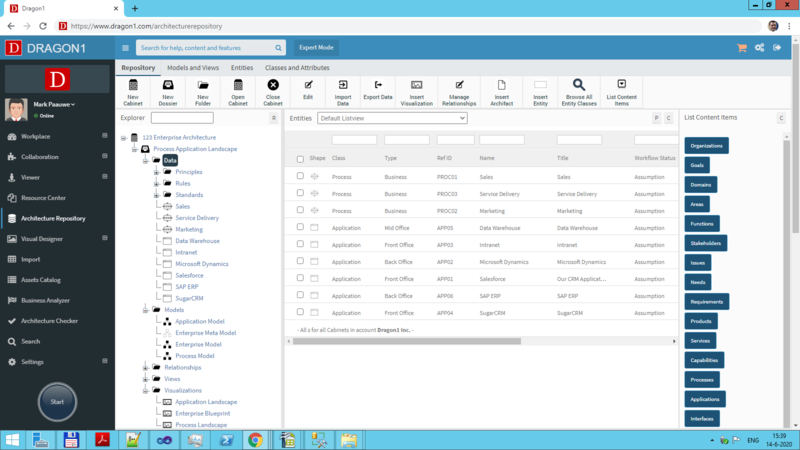 The Architecture repository allows you to enter as many attributes for any data entities you like, such as photos and videos, documents and texts, figures and facts. Anything to create meaningful views in the end. Another important feature of the Architecture Repository is the ability to extend modeling languages with shapes, rules, constraints and roles, so they fit your situation and let discussions take place at the right time by the right people on how to apply a standard. You can import and define Modeling Language Shapes in your own Shapes Collection, new Concepts, extend the Meta Model of the Modeling Language and store naming conventions rules. The Visual Designer is your Dragon 1 application to create, visualize and generate metamodels, models, viewpoints, views and scenarios. 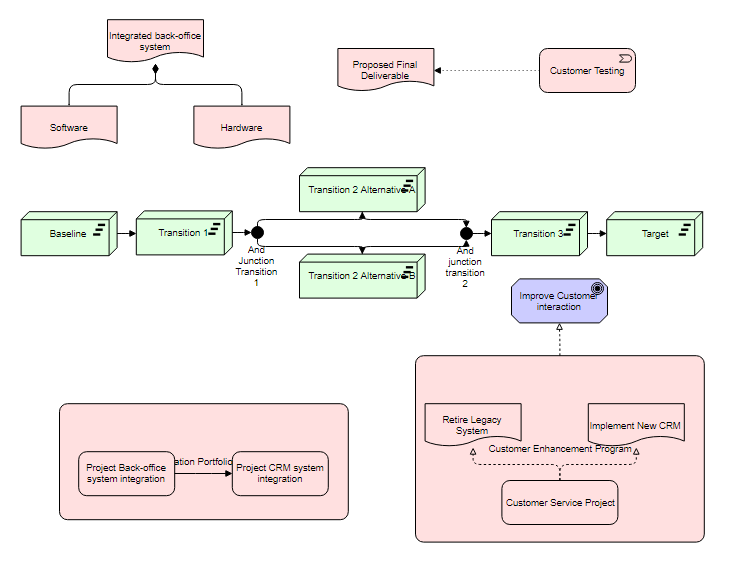 Dragon 1 works in a unique way with a visualization canvas that is connected to a view. And a view being a filter of a model. In the Visual Designer you draw shapes on the visualization canvas, just like you are used to in many other drawing tools. But they are in fact smart shapes. Visual Items are like post-it's that show configured shapes based on entities of data that are available in a stream flowing to your canvas. And also you can set the pattern the shapes are drawn per visual item on the canvas. This way of working allows you to draw visualization templates that actually generate a view based visualization. When the data in models changes, you don't need to do anything to change the visualization template. Automatically this gets updated. We offer the option of downloading tutorials and example viewpoints in a zip file. The modeling language holds a series of defined viewpoints for which we have developed tutorials for, on how to create them efficiently and effectively. Every user gets a link to a zip file with this contents. Enjoy working with Dragon 1 as ArchiMate Tool! If you are excited to use Dragon1 as AchiMate Tool, create a free trial account on Dragon1 (no credit card required!). If you have any questions, please feel free to ask them via info@dragon1.com.